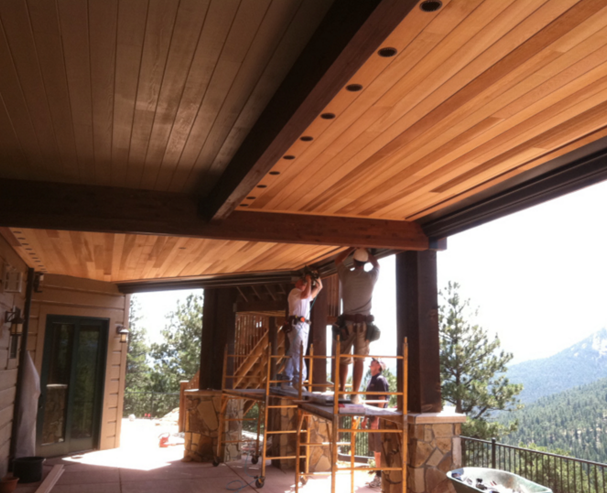 Whether you’re building a ground-level deck or elevated deck and you’re building your own deck or working with a contractor, there are several things that you need to take into consideration. Although you may be eager to get started, building a deck is a major decision so you should make sure you’re ready first. 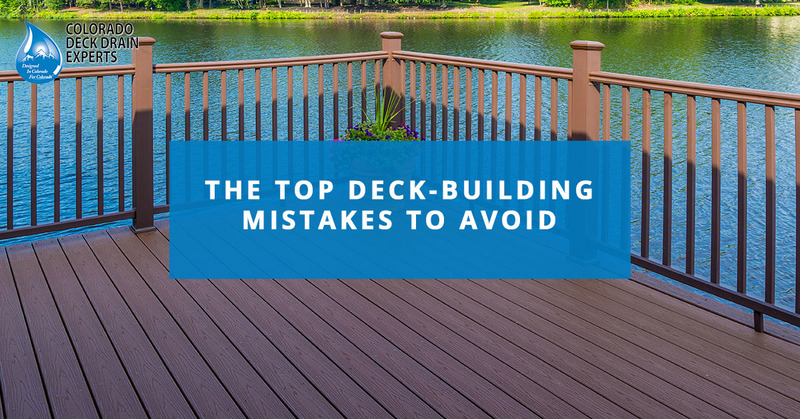 Let’s take a look at some of the top things to avoid while planning and building your deck. From composite decking material to tropical hardwoods, pressure-treated lumber, and natural woods like redwood or cedar, there is no lack of options out there for you to choose from. 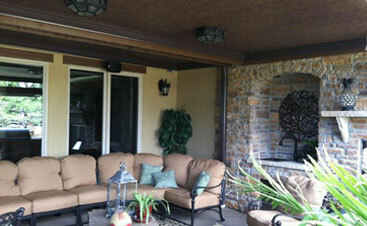 Composite decking material is very versatile, doesn’t need to be stained, and can last a long time. However, hardwoods have a natural look and feel that can’t easily be replicated. 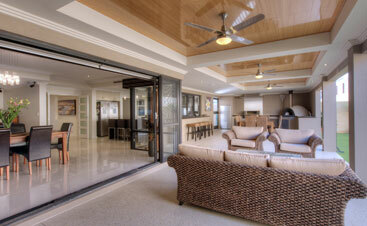 When choosing a decking material, you should consider the cost and the time commitment to take care of it as well. Although we’ve talked about safety quite a bit in our blogs here at Colorado Deck Drain Experts, it cannot be understated how important it is. Everything about the way your deck is built to the additions you add to your deck should be verified by a professional deck contractor before use. Even if you’re working with a deck contractor to build your deck, it never hurts to ask for clarification if you think something seems out of place. 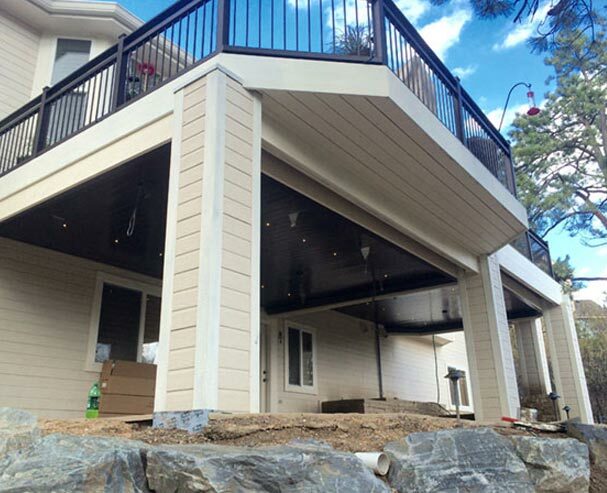 Remember, safety extends to any additions you make such as hand railings, under deck drainage, and the electrical system you add to your deck. Unfortunately, decks aren’t something you can simply build, and then later rebuild whenever you feel like it — they’re a long-term commitment. When you first start planning for your deck, consider what interests you may have five or ten years down the line. Will you be selling the home? If so, what type of deck is most popular in the industry? 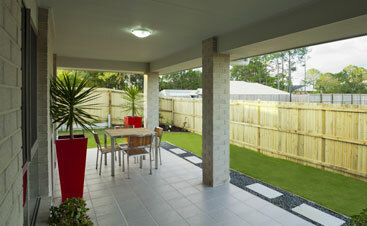 Will you want to put time into maintaining your deck, or do you want a deck that takes care of itself? If you’re building an elevated deck, are you going to be making use of the empty area underneath it? If so, you’ll need to plan out exactly what you want that to look like, as well as consider your options for deck drainage and other safety features. All of this may seem a little overwhelming, but if you’re working with the right people it doesn’t have to be! Here at Colorado Deck Drain Experts, we’re ready to take on any challenges you’re facing with deck drainage. 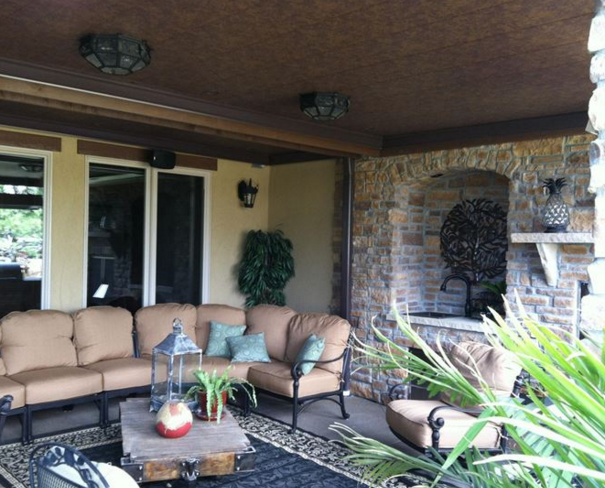 If you’re interested in turning your under deck patio into something special, give us a call and we’ll ensure you have an adequate water drainage system first. Give us a call today.